Following the greatest financial meltdown and epidemic of financial fraud in America’s history, the United States Congress enacted a sweeping new financial reform law, the Wall Street Reform and Consumer Protection Act of 2010. The new law creates the new Consumer Financial Protection Bureau. Beyond the obvious financial and investor products, the new law could go after Main Street scammers too. Specifically, it could cover multi-level marketing (MLM), which markets its own specialized financial products — distributorships aggressively sold to consumers as “income opportunities.” The MLM financial products are legally binding contracts in which the consumer pays a fee to become an “independent contractor” and is futher enticed to buy inventory, marketing materials, training courses, online services, conventions and seminars with promises and claims of extraordinary returns tied to these purchases. The true MLM product is financial, but it is disguised with personal or home products such as herbs, soap, weight loss meals, vitamins, and cosmetics. The driver of the business is the sale of the income scheme to consumers, which is purely financial and involves fees, a binding contract, obligations and promises based on a compensation plan. Pyramid Scheme Alert has been repeatedly asked by anxious financial analysts who follow the publicly traded MLM companies whether the new law will end MLM’s current holiday from law enforcement and bring more regulatory scrutiny to MLM. Beyond being a negative financial factor that has harmed virtually every family on Main Street, MLM companies are now also a significant sector on Wall Street. Thousands of consumers and some major institutions purchase MLM stocks based on the sale of these MLM financial products to consumers. Among the MLM schemes that sell shares to the public are Herbalife, Pre-Paid Legal Services, Mannatech, Medifast (“Take Shape for Life” Division), Usana, Your Travel Biz.com, Reliv and NuSkin. All of these companies sell the same financial product. As unemployment and financial misery have increased recently, MLM’s financial product, the sale of distributorships, has risen dramatically and the stock pricing of MLM schemes has spiked. The MLM rise during the Recession parallels the growth of high interest pay-day loan operations, personal bankruptcies, and home foreclosures. MLM promoters claim the distributorships are a financial “safe haven” from the Recession and that investments in the schemes offer “unlimited” income to Main Street consumers. In fact, the MLM distributorships turn out to be worthless. Few consumers are able to earn a sustainable profit from selling MLM products on a retail basis. However, the MLM schemes also offer the consumer the opportunity to earn money another way – from recruiting new investors like themselves who will also buy the distributorships. These “endless chain” income – based on selling worthless distributorships – promises prove equally worthless to 99% of all consumers who buy in. Thus, the MLM financial product, like the sub-prime mortgage and the terms of credit cards, is revealed to be deceptive and harmful. Yet, Wall Street is capitalizing on Main Street losses from MLM victims, just as it did for a number of years on the doomed sub-prime mortgage holders. Will the new federal agency recognize the predatory nature of the MLM business as it finally did in the home mortgage field and the credit card business? 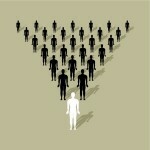 Currently, multi-level marketing is a black hole for regulators. There is not even a Federal Trade Commission (FTC) “rule” defining MLM operations, as there is for franchising. Millions of people, having lost money in MLM or having seen the financial ruin of family members, now view MLMs as dangerous pyramid schemes. Yet, they have little legal recourse. There is no specific law in America outlawing pyramid schemes. Consumers who are lured into MLM find themselves isolated and unprotected. When they sign MLM “distributor agreements” — that is to say, when they buy the MLM financial product — they are no longer covered by normal protections available to consumers. They are now viewed, not as consumers, but as “self-employed contractors.” Their purchases — often exceeding thousands of dollars — are viewed as “inventory” purchases or investments in training and motivation that are related to “income,” not normal consumer transactions. And, once they get out of the scheme, after losing their money, most MLM participants are constrained under “binding arbitration” clauses in the contracts, meaning they can’t sue for damages if they believe they were deceived. Little wonder that few consumers ever complain to the authorities after being fleeced by MLM recruiters. Sadly, the record of our state Attorneys General and the FTC (since 2000) and the SEC (remember the Bernard Madoff scandal) offer no encouragement to consumers to seek legal protection. The new Financial Reform Law, according to news reports and some consumer group analyses, is primarily aimed at more obvious financial products such as credit cards, mortgages, payday loans, private student loans, credit bureaus and debt collection. The question is whether the new law will recognize that MLMs are a major source of financial losses to consumer and that MLM “distributorships” are sold as “financial products.” Like high interest credit cards, and other predatory schemes, MLMs are aggressively promoted to consumers. No one seeks them out. They get recruited into them. Consumers are more likely to fall victim to a MLM recruitment campaign than to a pay-day loan or a sub-prime mortgage. Consumer losses from predatory MLMs are in the billions each year.